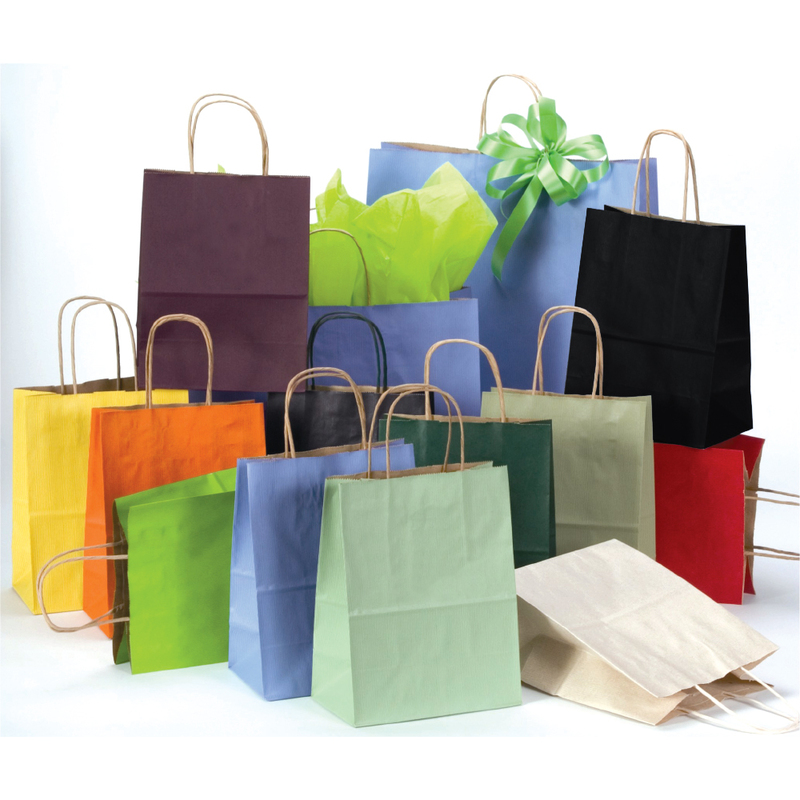 Keep the color scheme of your store going, right down to your bags. 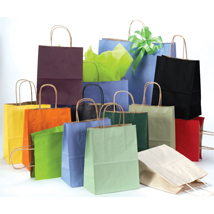 The Colored Shopping Bags are made out of a matte finish 60-80 lb. paper. Strong twisted handles make purchases easy to carry. A square bottom for convenient packing. The bags have a natural tint with shadow strip that runs through them. Great for Gift Shops, Retail Stores and Clothing Stores. Add a Custom Label for a more personalized look.